Family owned and operated by Roger and Chad Jones, our cypress sawmill has been in business since 1999. 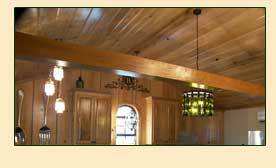 We specialize in supplying large cypress beams and cypress posts up to 26 feet long to Contractors, Homeowners, and Individuals to complete the projects of their dreams. new cypress lumber and beams - IN STOCK! sinker cypress lumber - IN STOCK! pecky cypress lumber - IN STOCK! antique heart pine beams and post - IN STOCK! Need custom millwork? Our millwork process can also produce custom orders of v-cut T&G, beaded board, crown molding, baseboard, and door/window trim. Because you are buying directly from the sawmill, we can provide these products at a much lower cost than Lumber Retail Stores and Middlemen. 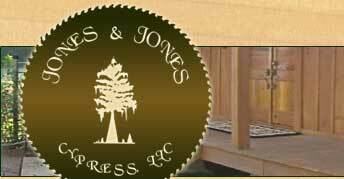 Stop by or call us at (318) 359-8061 and let Jones & Jones Cypress get your dream project started!